Saudi Aramco’s announcement of its first-ever initial public offering (IPO) in early 2017 came as a surprise to many. Being the largest oil company in the world with presumably the largest reserves and lowest production costs, the reasons behind the IPO continue to be of interest. A cursory analysis of the reasons behind the IPO point to the Kingdom’s increasing budget deficit due to the plunge in international oil prices in the wake of weak demand and the shale revolution in the United States. But a deeper probe indicates the IPO’s connection with ongoing attempts to effect a transformation on both the domestic and foreign policy fronts with a view to bolster Saudi Arabia’s position in the region as well as retain its supremacy in the oil market. In a bid to consolidate power and authority, Crown Prince Mohammed bin Salman has unfurled an array of political, economic and social reforms. His brainchild, Vision 2030, was primarily aimed at diversifying the economy from its over-dependence on oil revenues, privatisation, and making the Kingdom an attractive destination for business and investment. Salman’s emphasis on creating a modern and moderate Islamic country has gained currency amongst the youth, who are facing issues ranging from a deeply conservative society to unemployment. 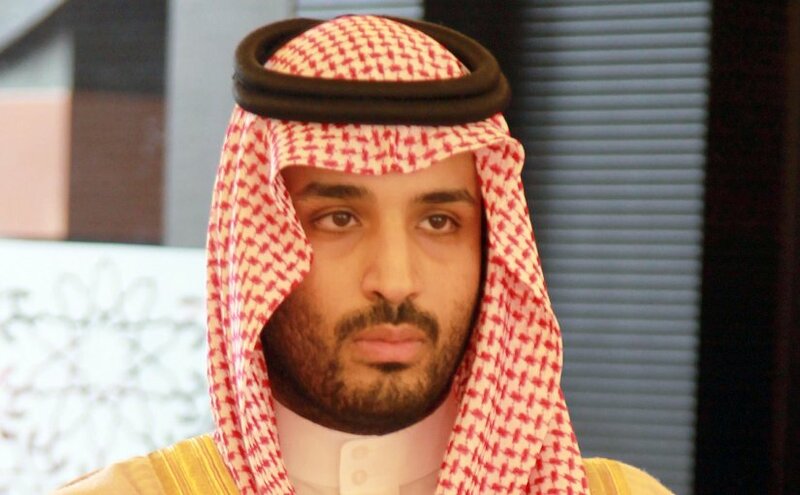 The Crown Prince’s anti-corruption drive, whereby he targeted rivals and tightened his grip, has made him popular amongst the masses and helped him gain access to assets worth billions. Even though the targeting of businessmen and the elite has given rise to concerns amongst investors, Salman is trying to build his reputation as a ruler who favours transparency and accountability that would help legal businesses to flourish. Apart from Vision 2030, several multi-million dollar projects like NEOM, an artificial intelligence-driven city on the Red Sea at an estimated cost of US $500 billion, has been planned to make the Kingdom a completely modern country. However, the plunge in international oil prices resulted in an economic slowdown both in Saudi Arabia as well as other oil-exporting countries. While Vision 2030 emphasised on weaning the Saudi economy away from oil revenues, falling oil prices have led to a reduction in revenues that adversely affected the economy. That, in turn, pushed the government to effect a policy reversal aimed at increasing oil prices to support the economy in the short and medium terms. Hence, diversifying the Saudi economy away from oil became a policy prerogative, albeit in the long term. The IMF Regional Economic Outlook report for the Middle East and Central Asia notes that Saudi Arabia would need to price its oil at US $70 per barrel in 2018 in order to balance its budget.1 With current oil prices at a two-year high crossing $60 per barrel, the November 2016 OPEC decision to cut oil production has borne fruit, thereby making it possible for Saudi Aramco’s value to rise to around $2 trillion, despite conflicting reports suggesting that Aramco’s value stands at only around US $ 1 trillion.2 Furthermore, the Crown Prince aspires to make the Saudi sovereign wealth fund the largest in the world3 by transferring the ownership of Aramco to the fund along with selling five per cent of Aramco’s shares. It goes without saying that Saudi Arabia would do its best to try and increase global oil prices in order to raise the value of Saudi Aramco as high as possible. On the international front, Saudi foreign policy priorities have transformed ever since Crown Prince Salman took over the reins of power. His assertiveness in policy decisions has seen an array of proxy wars, including the Qatar blockade, intensification of the Yemen crisis, and the resignation of the Lebanese prime minister, which can all be perceived as part of the Saudi strategy of containing rival Iran. Saudi policy towards Iran also seems to have found resonance in the Trump Administration’s growing hard-line posture towards Tehran. Salman’s decisions are reflective of Saudi interests and the emerging regional alignments against the increasing power and influence of Iran. To prosecute its regional proxy wars against Iran and its supporters, Saudi Arabia would have to ensure the availability of sufficient funds. Even though Crown Prince Salman has the support of the US, the latter’s support is not without a quid pro quo. Trump, in exchange for supporting Salman’s policies in the region, is most likely to exert pressure with respect to listing Aramco’s shares in the New York stock exchange. In addition, Trump wants Saudi Arabia to buy more arms4 from the US. Finally, one cannot also rule out a US-Saudi deal to ensure significantly higher oil prices. Efforts by OPEC to cut production by 1.8 million barrel per day with a view to propping up prices as well as driving out competition from non-OPEC oil-exporting countries, especially after the shale revolution in the US, are gradually beginning to show results. OPEC is scheduled to meet again on November 30, where its members would most likely decide to continue with the production cuts for another year from March 2018. Even though a supply cut has led to OPEC losing out on the largest markets, including China and India, it has helped in getting oil prices back on track with the support of Russia. Both the US and Russia benefitted immensely in capturing some of the most lucrative oil markets. In addition, rising oil prices would be equally beneficial for all oil-exporting countries. Yet, there is no clarity as to the date or the venue of Saudi Aramco’s IPO listing. Saudi Oil Minister Khalid al-Falih mentioned at the Future Investment Initiative held in Riyadh on 24 October that the IPO would take place in 2018.5 Saudi Arabia is also wooing emerging economies like China and India, which are some of the largest importers and consumers of Saudi oil. Interested bidders from these emerging powers could be given preference as they would continue to be huge markets in the future. There are also rumours that Saudi Arabia might think of a private placement of the IPO to China. However, the decision on where to list Aramco’s shares other than in the Riyadh stock market rests with Crown Prince Salman. An international listing would bring in more investors and attractive bids. However, before such a decision is taken, Saudi Arabia has to resolve issues like what details to disclose (especially details regarding Aramco’s crude oil reserves) to buyers and the terms of the IPO. *Chithra Purushothaman is Research Assistant at the Institute for Defence Studies and Analyses, New Delhi.